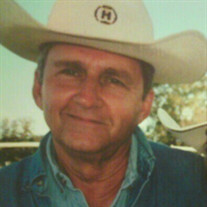 Inman "Blair" Harrison Jr., of Lake Butler, Fl., passed away on August 27, 2018 with his family by his side. Blair was born on December 3, 1944 to the late Inman and Estelle Spires Harrison. Blair lived most of his life in Lake Butler. Blair is proceeded in death by his sister Zona Sue Halle, his grandson Colby Blair Harrison and his mother in law Helen Austin. He enjoyed working with his family at a young age on their dairy farm and he had a love for horses and enjoyed raising them in his later years. Blair was loved by many and nothing meant more to him than being surrounded by his family and friends. There was no where he went that he didn't have a friend, and he never met a stranger. Blair is survived by his wife of 43 years, Barbara Harrison, his two daughters; Robyn (Preston) Huntley of Lake Butler, and Susan (Rick) Brown of Lake Butler. His brothers; Charles Harrison, Joe (Tracy) Harrison, and John (Janet) Harrison, all of Lake Butler. His grandchildren; Cameron Bailey of Sandford, Fl., Caitlyn (Justin) DeNunzio of Lake Butler, Brandon Combs of Lake Butler, Clay Halle of Lake Butler, Kendall Woodland of Keystone Heights, Fl., and Kristin Woodland of Lake City, Fl. Seven great grandchildren, and several extended family members.